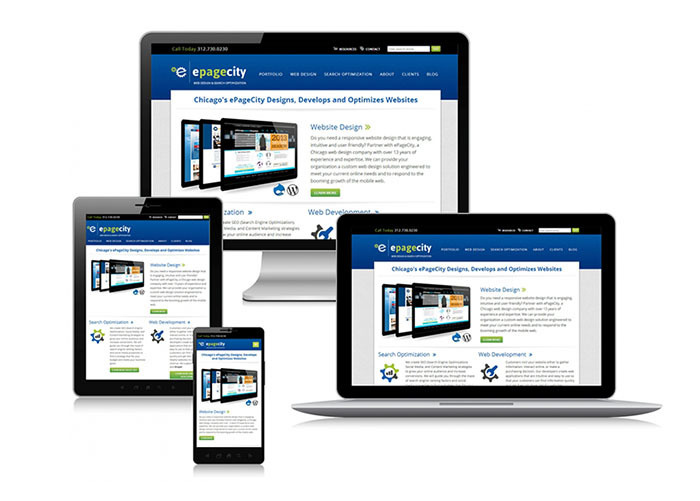 Providing Australian business owners with modern, affordable, mobile friendly websites. Australian Made, Professional, Eye Catching, Web Design. Whether you are after small business website or a large eCommerce website design, we are a professional web design company servicing customers all around Australia and the world including Sydney, Brisbane, Melbourne, The Gold Coast, The Sunshine Coast, Adelaide, Perth, Hobart, Darwin and all the places in between. 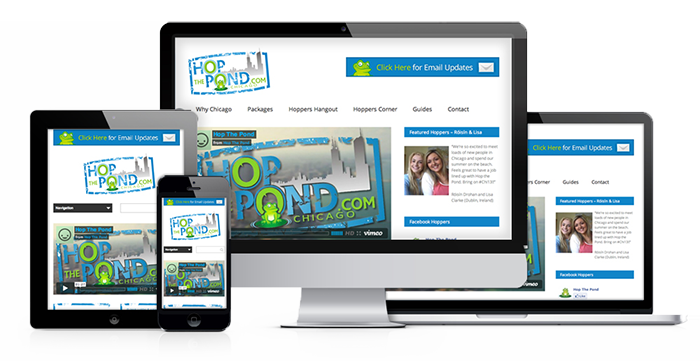 In a digital world, first impressions are vital and an outstanding website design is the key to success. Users enjoy visiting sites that are aesthetically appealing and easy to navigate. Let our team help design and create your website and make an outstanding first impression with speed and accessibility. Get your business noticed in the digital world. Just because we provide cheap website designs does not mean your website will look cheap! 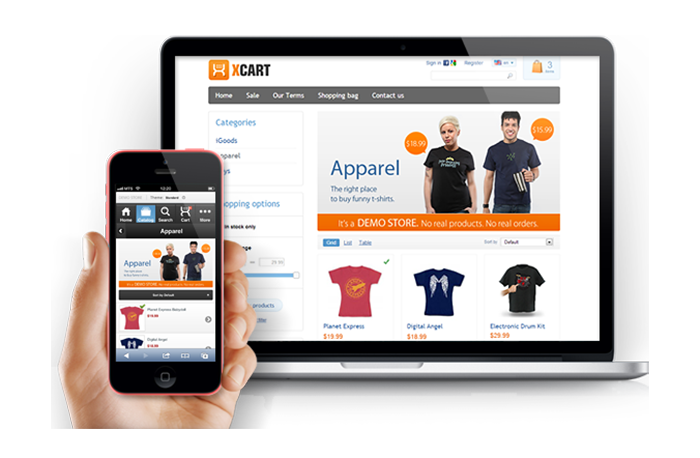 We use the latest designs and technology available in the online world today. Its not just a matter of knowing how to create a website, but having the ability to optimise your website for SEO and place the right keywords in the right places on your website so that you rank high in Google Searches. We provide customised freelance website designs and focus on creating a website to fit your brand. Our team presents, revises and collaborates with you until we finalise the perfect web design for your needs. From simple website's with a couple of pages promoting your business, to large shopping cart websites with thousands of products. The difference between us and other website design companies is we optimise all the right keywords and metrics are in place from the ground up, getting you ranking high in Google searches from the beginning. Hire us as your website designer and you will not be sorry! Rank One SEO is a full-service web design, web development and digital marketing agency in Brisbane, Queensland, with a 20+ year history of pushing the web to its full business potential. We have been designing websites for Australian small and medium businesses for over 20 years. We our website design services are based in Brisbane, and we create stunning, mobile friendly websites that are designed to capture and engage your target audience. Our website design services are great for all small and medium businesses, including the services and trades industry. We primarily develop our sites in Wordpress. Did you know that over 70% of the internet is written in the WordPress platform? That's over 75 million websites. 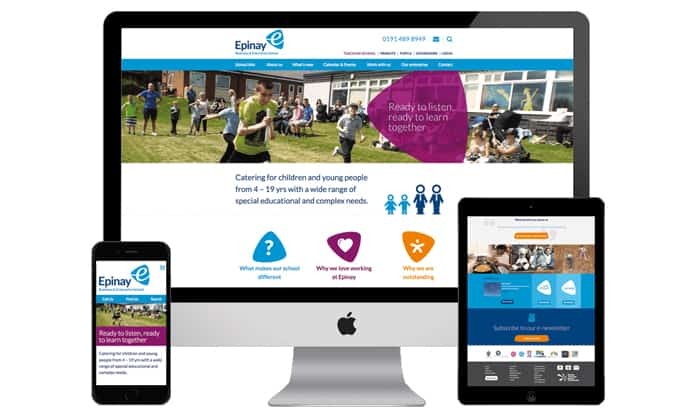 When you partner with us you don't only get professional website design but you also get a fully SEO optimised website that will rank highly in the Google search results. We cover all aspects of branding, Lead generation, SEO optimisation, conversion rate optimisation, Pay Per Click and Social Media Marketing. Check out our free web design icon sets. * Professional Website Design based on your vision. * On Page conversion rate opportunities. * Facebook, Google Adwords and PPC advertising. Web design isn’t just about pretty pictures. It’s also about building usability-driven core web design principles that drive more eCommerce business, generate more leads, and make sure your website is responsive to different screen sizes and devices, including mobile phones and tablets. A time goes on, more and more people move to finding information and services using their phones and tablets. It is absolutely crucial that your website not only works, but engages the user and captivates them to buy your product or employ your services. Of course your site has to look good, but not at the cost of of being unusable, lacking engagement and performance. If you want to win on the web, your website needs to achieve a perfect balance between aesthetics and functionality. You need a design that captivates your audience and captures the lead or the sale. Rank One SEO's web design experts know just how to accomplish that. The number of devices that connect to the internet is approaching 200 billion. As a Brisbane web design leader, at Rank One SEO, we believe in making data-driven decisions. We stay on top of the latest trends, technologies bu doing usability research, and delivering websites that are beautiful and functional, eye-catching and sticky, compelling and action-inducing. At Rank One SEO , our web design process is unlike most other website design contractors. We use a thoroughly planed process that has proven results. Unless you are familiar with developing a creative brief, a public relations plan, a communication plan or a new product, the phases will not be familiar to you. Our 8 phases of Web design process include the following steps. A new Web site design may is usually triggered by a change of strategic direction or a new offering within a business. The very first step is to identify the reasons for the site’s existence and what it is supposed to achieve. The goals and objectives that are outlined at the outset of the project direct all future decisions, from site structure, naming conventions used in the navigation to the visual design of the site.The first step in the web site definition process is talking to the business owners and stakeholders to identify the goals and desired outcomes of the site. We need to understand the target key audience and identify key competitors. The goal of the project definition is to identify the measurable key outcomes that are directly related to the strategic goals of the business. The key to this step is limiting the number of goals. Many businesses will come up with more goals than they know what to do with, which over complicates the whole project right from the beginning. Being able to bring focus to the businesses goals will make developing the site easier and make the final product more effective. Once we have gathered all the information and requirements from the business we collate them in a well-formatted business requirement specification or BRS. The BRS contains the following elements. Project summary: Outlines the general overview of the web design project, background, the current environment the business exists in, and the unique value the business provides to its audience. Goals: What are two or three specific measurable goals that this web site should achieve? Clear goals allow the web development team the ability to focus on what will provide the most impact and grow the business online. Target audience: Who will help the business achieve its stated goals? Most businesses deal with multiple organisations (such as customers, stakeholders, internal audience, suppliers, partners, shareholders and government agencies). Messages: What are the key messages that attract and motivate key audiences to engage with the business? What are the brand messages that are key to help drive a dominant online presence? Competition: Who are your main competition in your target location? We need an overview of competitive businesses’ web sites to determine who is currently dominating your business niche and how they are achieving this. A very important step of any Brisbane web design project is defining the scope of the project. Without a locked in web design scope, Web projects will suffer scope creep. Scope creep is essentially adding features and extending functionality to a web design project that were not initially covered by the quote. By creating a well-defined project scope plan that outlines specific objectives and deliverables, along with specific target timelines, we will be able to clearly set your expectations. One of the most common ways of tracking Web design projects is through the use of a Gantt chart. A Gantt chart outlines major activities as well as defining the tasks associated with each activity. Most importantly it includes target start and end dates. A Gantt chart provides a visual representation for the team, showing the timeframe of each step and the pieces between each step. A Gantt chart also defined rules and responsibilities between the Brisbane Web design team and you, letting you and the Brisbane team know that the delivery schedule is dependent on both sides of the fence fulfilling their responsibilities. Website architecture includes the sitemap and high level design of the web pages. Creating the sitemap makes sure that we have considered all the key pages and components in the site, showing their relationship with each other and defining how the sites menu and data flow should be structured. Wireframes provide a structured view of the content that will appear on the website. Although they do not show the real design elements, wireframes provide a template for defining content hierarchy on the page. Once the design for the website has been defined through the sitemap creation and wireframes, the next step is to define the visual style. The overall look and feel will most likely be determined by the brand of your business, as well as the goal being to connect the Web with the end user. The businesses’s brand plays an big role in this part of the planning process, as Brisbane web designers will want to visually convey key brand perceptual ideas. When the design and project plan are approved by you, it’s time to flesh out the design of the pages, develop the content, refine and improve old content for search engine optimisation, create any videos, slideshows, podcasts and other media that will are required to fulfil the project. Before the site is launched to the public, it will be placed on a production server where only you can see the results. Testing of the site is crucial as no matter how thorough the initial deign and testing, there will always be issues that need to be addressed before the site goes live. There is nothing that tarnishes a brand more than a website that doesn’t function properly or has broken design components. At this stage we review the website on multiple browsers (Firefox, Safari, Internet Explorer) and multiple devices such as laptops, big screen desktops, tablets, and mobile phones, to see if and where breaks occur. The big day we have all been waiting for. You’ve tested the site and it's been reviewed and approved by everyone, and its time to launch. Once the site is launched, the project is rarely over. Always be prepared to address feedback from users and the new website traffic coming to the site. We always have resources available to fix any immediate changes to the site, like fixing broken links, editing copy and making small changes. The Web is a dynamic environment that changes on a daily basis. The only thing that is guaranteed, is change. Websites are always evolving. They are essentially life like entities and need constant care, maintenance, and upgrading. Updating new content, making changes to the backend and fixing broken links are all part of a website life cycle. All of these phases are critical to a Brisbane Web design process.